The present standard, IRS30100, complements ISO 191xx series standards by specifying semantics and providing functionalities that are relevant to railway systems. The present standard is intended to facilitate the implementation of infrastructure management information systems. It includes natively the geographic dimension, and therefore fulfils, inter alia, the requirements of the INSPIRE Directive, when these requirements apply to railway infrastructure. 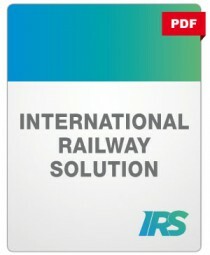 No current ISO 191xx series standard deals specifically with the challenges posed by consistent, scale-independent railway infrastructure data modelling, since these ISO standards stipulate at a higher level. The present standard deals with semantics close to EN 28701:2012 “Identification of fixed objects in public transport” (see Normative references - page 4), namely fixed objects such as infrastructure, or events such as works. EN 28701:2012, however, is multimodal, and addresses the transport infrastructure mainly from the point of view of passenger information and timetable management. While the semantics are close, and can fairly easily be linked, the present standard aims at a wider usage (asset management and operational planning and management as well) in a narrower field of application. The IRS 30100 RailTopoModel describes a framework of concepts, to support the description of railway infrastructure, starting from the iron network and including business objects: network topology, infrastructure elements, their description, referencing and positioning, their behaviour, etc. The RailTopoModel should be used especially when there is a need to describe the network (structure and topology) at various levels of detail, depending on intended usage and on data availability. It is especially put the RailTopoModel at use when infrastructure data is expected to be used by various stakeholders for purposes not precisely known in advance, e.g. for network design and maintenance, traffic scheduling, and traffic management. The description can be as general as corridors; it can be detailed at line level, track level, down to physical components such as switches, lineside signals, or balises. An unlimited set of properties can be attached to component classes, for purposes such as conformity assessment, technical characteristics, life cycle data, including economic aspects, etc.